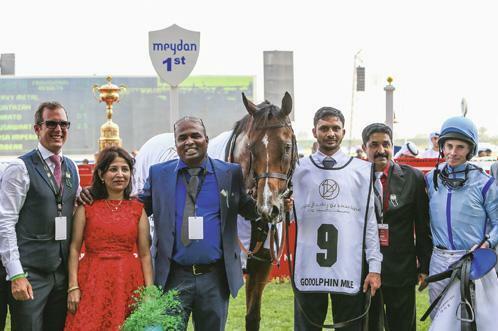 When it dawned on him that the Group 2 Godolphin Mile would be his first race as a licensed trainer, Sandeep Jadhav took a deep breath and found he had inhaled both excitement and anxiety. Few trainers in the world have the privilege of such starts, and Jadhav was now cast into the spotlight as he prepared for the big night. His only assignment on racing’s lucrative card was the Godolphin Mile and Jadhav was saddling both Heavy Metal and Capezzano. 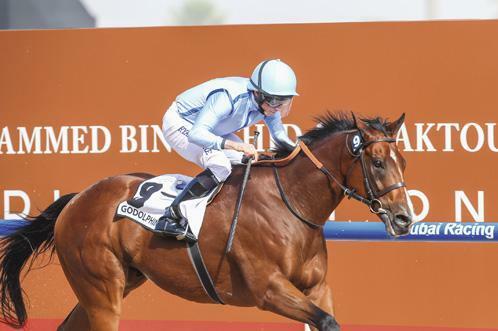 “There was a lot of pressure after the events that led up to the race, because Heavy Metal is owned by HH Sheikh Hamdan bin Mohammed Al Maktoum and is one of his favourite horses. And when he was beaten in the Burj Nahaar on Super Saturday by Kimbear, a bit of a rivalry had emerged,” explained Jadhav, who was handed the role on a year long basis and temporarily replaces Salem bin Ghadayer. “The Godolphin Mile was going to be a kind of rematch, so there was definitely a lot of pressure to win and Sheikh Hamdan was really, really thrilled when Heavy Metal won the race. But there was a lot of pressure.” The pressure was immense and it was magnified many times inside the cauldron that Meydan turns into on World Cup day. But Jadhav enjoyed it thoroughly as well when the legendary Ryan Moore hit the right chords to get Heavy Metal to produce a performance that was deafening. Jadhav says he will remember the very special day for the rest of his life. “I was very lucky with that, but it was a brilliant race that was run by Heavy Metal,” Jadhav said. “He was the favourite undoubtedly and there was a 100% chance of him winning, but race days are something and anything can happen really. But the way he ran, he ran like a solid horse. He’s always been solid for the stable and a very consistent performer. It was just brilliant and I was lucky that my career started with a Group Two win.” Unexpected is perhaps the right adjective to use when describing Jadhav’s career. His father was a jockey in Poona, a satellite city about 100 miles east of India’s financial capital Mumbai. However, a career in racing had never been a fixation. He had always liked horses ‘because my entire family would go to the races all of the time so the interest was there’. But he was drawn into the sport rather unexpectedly, after arriving in Dubai in 1998 and then finding work as a hot walker with the then Red Stables’ boss Kieran McLaughlin. “Poona has a rich racing tradition in India, but whatever I learned, I learned in Dubai after I landed here to work,” explained Jadhav, who later worked under Doug Watson when Red Stables came under the charge of the American trainer. 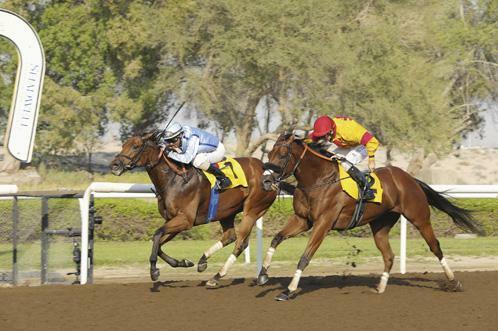 “I was a hot walker with Kieran and, doing that, I moved on to being a groom and I had my first winner as a groom with Qawaqeb, then Musha Merr on the same night at Nad Al Sheba.” After two years of working under Watson, Jadhav earned promotion. “I had learned a lot of groundwork during my time at Red Stables and Doug later made me a foreman,” said Jadhav. “I worked at Red Stables for a few years and then there was an opportunity to move to Godolphin’s Marmoom Stables, so I moved there to work with Mubarak bin Shafya, who was the trainer there at the time. 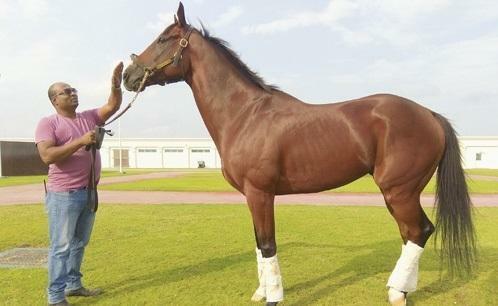 “It was 2009 and the year in which Gladiatorus won a handicap, then the Group 2 Al Fahidi Fort and the Group 1 Dubai Duty Free.” Working with Godolphin opened the door to move to England where Jadhav had the opportunity of working with Saeed bin Suroor and later Mahmood Al Zarooni. “I was there for about five to six years moving between England and Dubai. Working there was very good and I can say that I learned training and was schooled as an assistant trainer, where I had to follow instructions gtom the trainers and make sure riders were doing what they were told to do.” When Charlie Appleby took over from Al Zarooni at Moulton Paddocks in Newmarket, Jadhav fell under his purview and it turned out to be another massive learning experience. “After five or six years flying between England and Dubai, I wanted to be based in Dubai, so I spoke with Charlie about it and he made it possible to stay here. 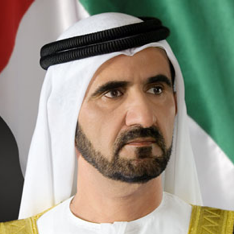 At that time Fazza Racing was about to open, so HH Sheikh Mohammed sent me here to work for Sheikh Hamdan.” Fazza Racing at the time was a fledgling operation with Bin Ghadayer handling overall training responsibilities. 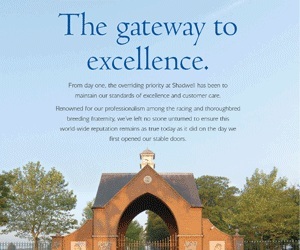 “When this stable opened we had about 16 horses and then the numbers grew. I didn’t really know what my role was and Salem asked me to get the horses fit, so I started doing that; training them to be fit and race ready,” Jadhav added. “Salem then gave me the chance to be assistant trainer and I had been working with him for three years before this opportunity came. “We didn’t know what was going to happen after Salem was banned, but Sheikh Mohammed and Sheikh Hamdan gave me a chance to become trainer. It’s always the dream of every assistant to one day become a trainer, but there were a lot of mixed emotions. “I was happy and sad at the same time because of whatever had happened that led to me becoming trainer. “But Salem will be back in March and he’s a really good guy. I have learned a lot from him too and he’s been very supportive during this time. 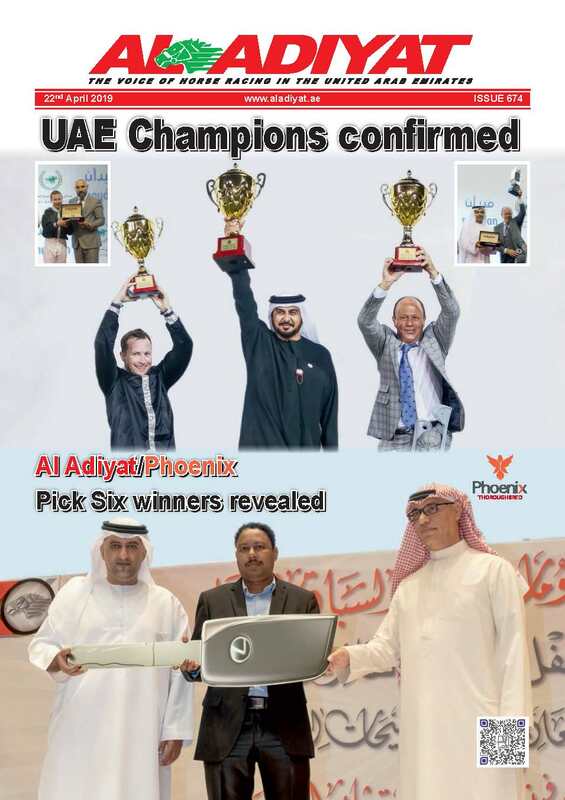 When I took over he gave me a free hand to work as I wanted.” With the UAE season not the longest due to climatic constraints, time is of the essence for Jadhav, who has a little over three months in which to add to his four wins so far this season. 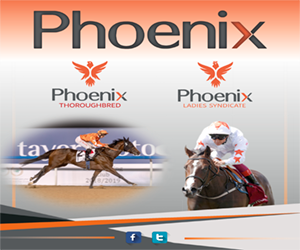 He has had a good amount of success with Untold Secret and Al Shamkhah winning at Meydan, and High On Life and Rio Tigre winning at Jebel Ali. The 37yo also has a further 18 placings to show. Speaking of his season, Jadhav said: “It was a good start with a win on the first day itself. We had expected a better start frankly because the horses are in good form, but it’s not a problem because this is my first full year. “I am happy with what we have won so far but it could have been better. “We have a good group here with Freddy Bob and Andrea Mascolo also working with me and the grooms and foremen all work hard to get the horses in top shape. Royston Ffrench and Xavier Ziani are good jockeys so once the horses get fitter, things will be better so we are optimistic. I have only until March to train so I will be hoping to get as many wins as possible in that time.” Jadhav has 75 horses to work with currently, with a further ten expected towards the end of the year.